London Underground workers are to be balloted for strikes in two separate disputes over jobs, pay and conditions. The Rail, Maritime and Transport union (RMT) said scores of control centre and maintenance staff will be encouraged to back industrial action. There will be two ballots, one among service control centre staff employed by London Underground and another with ticket maintenance workers belonging to private contractor Cubic Transportation Services. Apparently Cubic have rejected a claim for an Olympic bonus payment. They have "point blank refused to discuss RMT’s pay claim and an Olympic bonus. The company have instead said that they are not prepared to give an Olympic bonus, have offered a paltry 2.5 % pay rise and have total rejected totally RMT claims for a shorter working week"
Bob Crow of the RMT said: "Both of these disputes are about protecting our members' jobs, working conditions and standards of living in the face of aggressive and bullying management tactics that leave us no choice but to ballot for action. "RMT remains available for talks but no-one should under-estimate the level of anger amongst both of these groups of workers." The ballot result will be announced in June with the RMT expecting members to back the strike call. 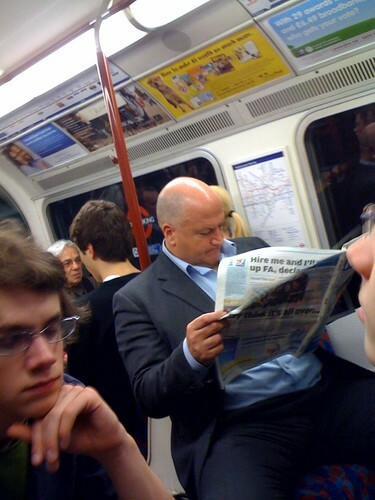 Update 30th May 2012 - RMT & London Underground have agreed an Olympic pay deal. The RMT union said drivers could receive up to £1,000, with other members of staff in line for up to £850 for the 'massive additional pressures' they will face during the period around the Games. Howard Collins, London Underground chief operating officer, said: “I am pleased that we have now got agreement from all four unions on our proposals for how we can fairly reward staff over the London 2012 Games".